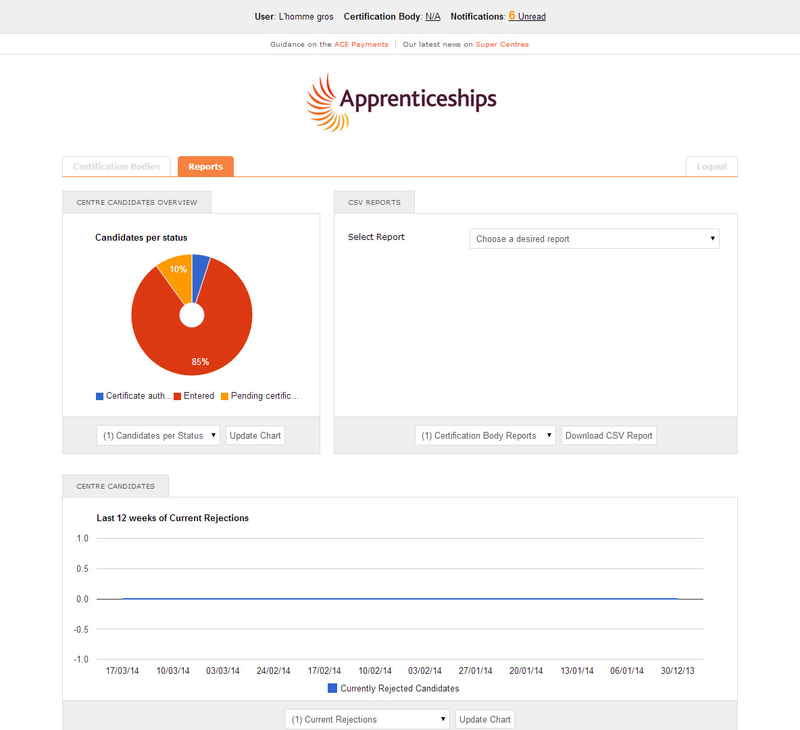 Once logged in you will see the Certification Body dashboard. 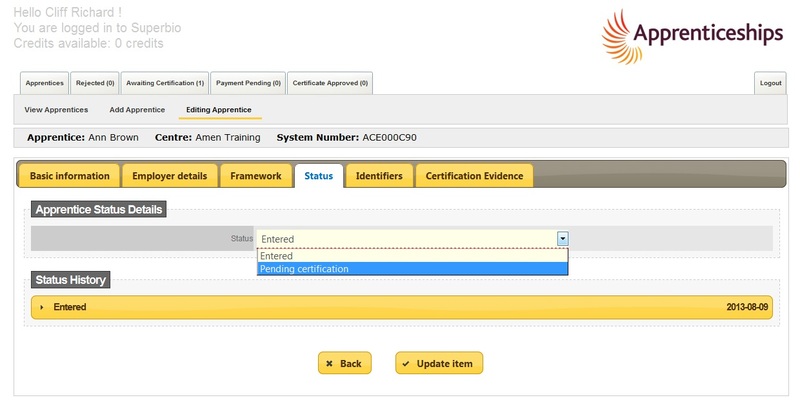 This dashboard shows you the Certification Bodies that your ACE account is linked to. 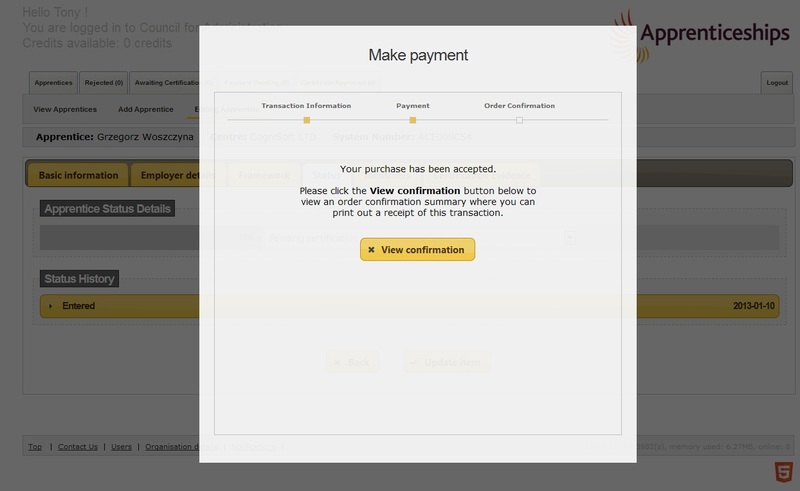 In order to proceed, select the Certification Body by clicking on the appropriate box. This will take you to the Entered tab within ACE. If you are within one Certification Body area on ACE you are able to swap by selecting the dashboard tab at the bottom of every page. 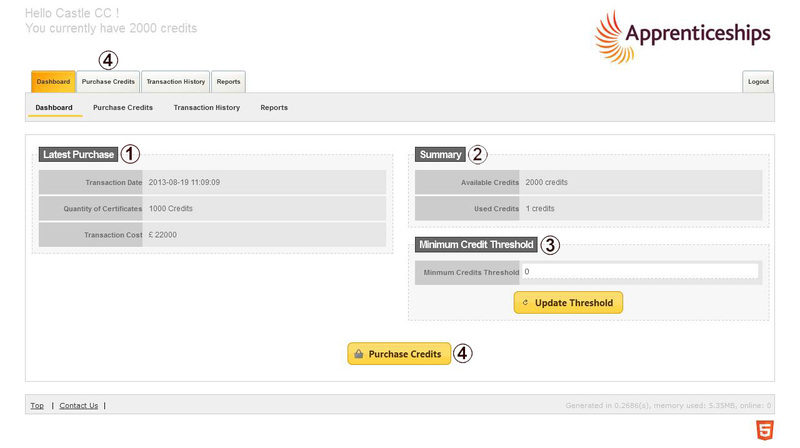 This will then allow you to return to the dashboard landing page and allow you to go to other Certification Bodies. Due to a number of Centres not yet registered for Super Centres on ACE 2.0 we regret that the reporting tools on ACE are not functioning correctly for all users. If you have registered your Super Centre(s) on ACE 2.0 but you think your reports are incorrect please contact the ACE Support Team as it is possible one of your old Centres has not been linked to your new account. And if you have not yet registered for Super Centre access please do so as soon as possible here. If you have confirmed with the ACE team that all of your old Centres are now linked to new Super Centre(s) you will be able to download accurate reports from the ACE Dashboard. These reports are some basic commonly requested reports, however once all old Centres have been registered with new Super Centres on ACE 2.0 the Federation will be offering a new bespoke reporting services which will allow you to design your own reports. More information on these bespoke reports will be available on the ACE website shortly. 1. 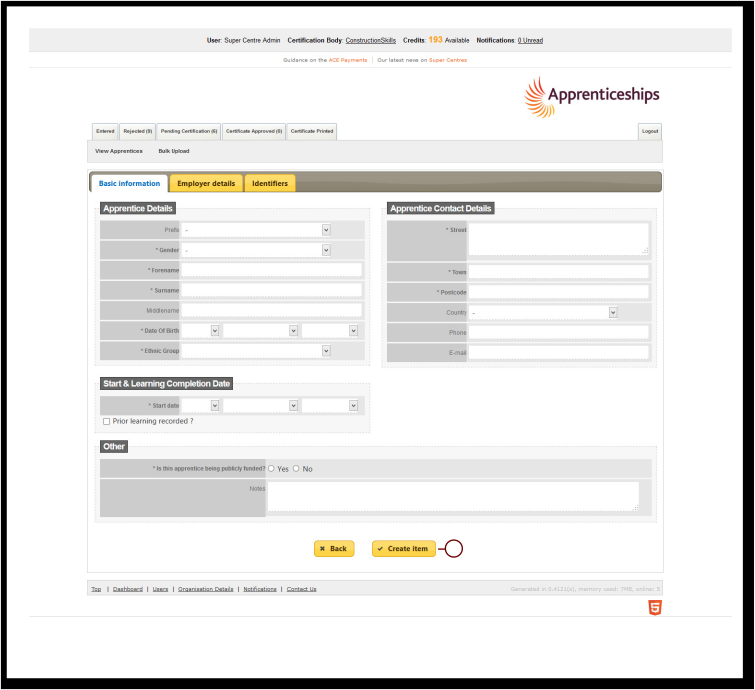 Entered – View, Add or Bulk Upload apprentices. 3. 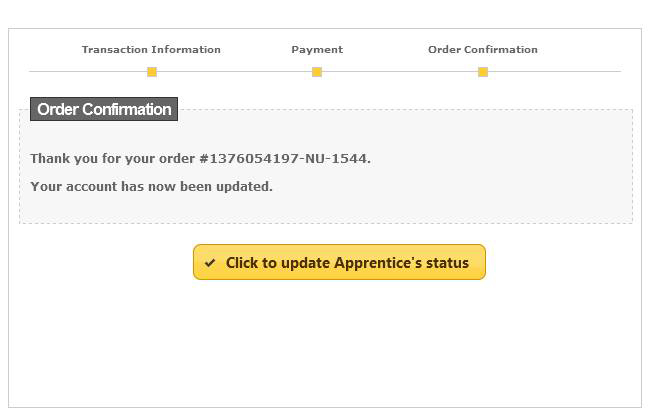 Pending Certification – View apprentices awaiting certification. 4. 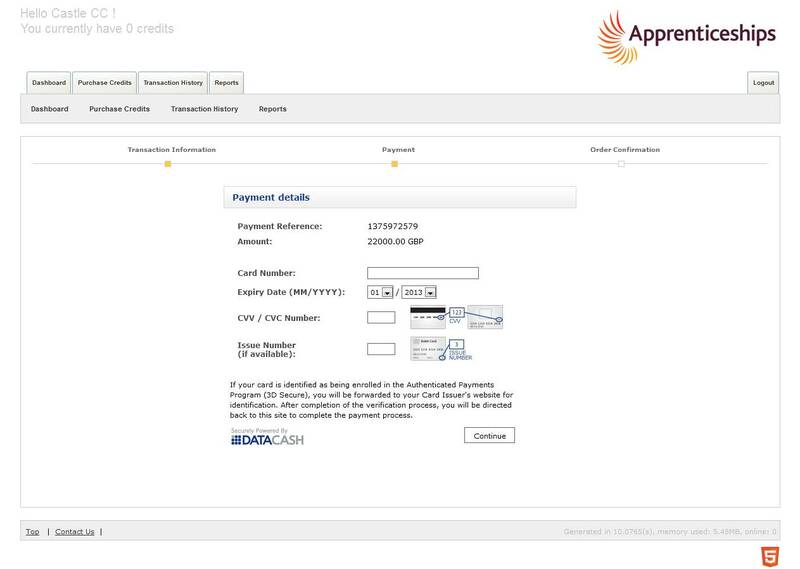 Certificate Approved – View apprentices that are waiting for their certificate to be printed. Once they have been printed the apprentice will be removed from this folder. 5. 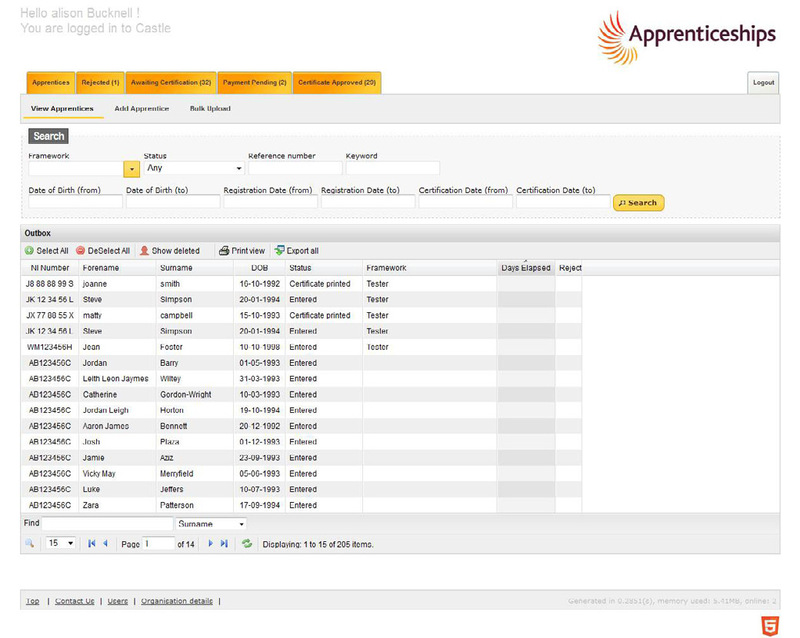 Certificate Printed – This tab is where all of the apprentices that have been certificated will be archived. 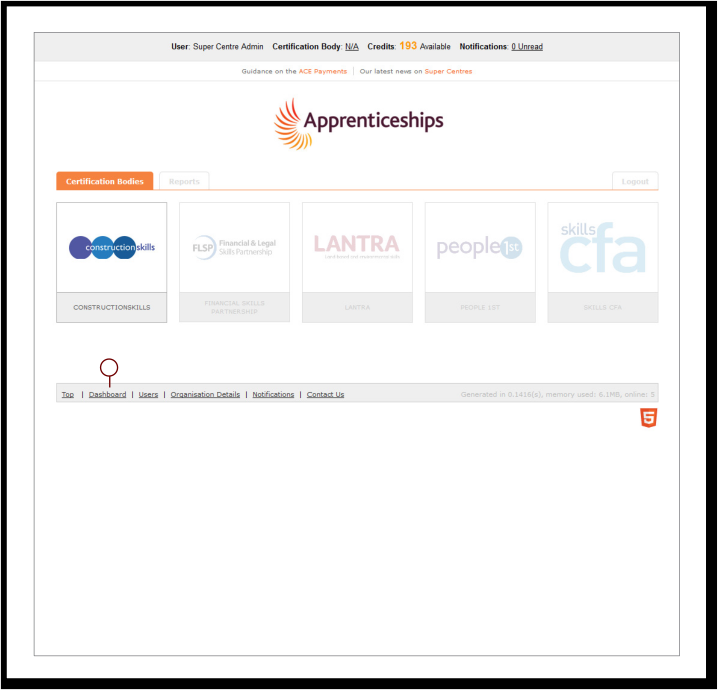 You can access and search for apprentices within this tab. 6. Notifications – View messages from the Federation and Certification Bodies about system/certification process changes or updates. 7. Show Advanced Search – Once selected this will allow you to view the search facility options and will appear under every status tab (1-5). Once you have finished your search you can hide the search box again by selecting the Hide Advanced Search button. NB:- The numbers in brackets, on each of the tabs, indicates the number of records currently active within each of the tabbed categories. 9. Contact Us – Contact details for Federation for Industry Sector Skills and Standards, managers of ACE. 10. Users* – Allows users of ACE to be created. More information can be found on here. 12. Search Tools – You can use the search tools to filter information. More information can be found here. There are several people in my organisation who need access to ACE, do we all need to register? No, only one person per Training Provider, College or Employer (known as a “Centre”) needs to register. They will be set up as an Administrator account for the organisation. They will be issued with an ACE username and password. The Administrator (super user) will then be able to create and manage individual username/passwords for other users within their organisation. How Do I Access The Bulk Upload Facility? 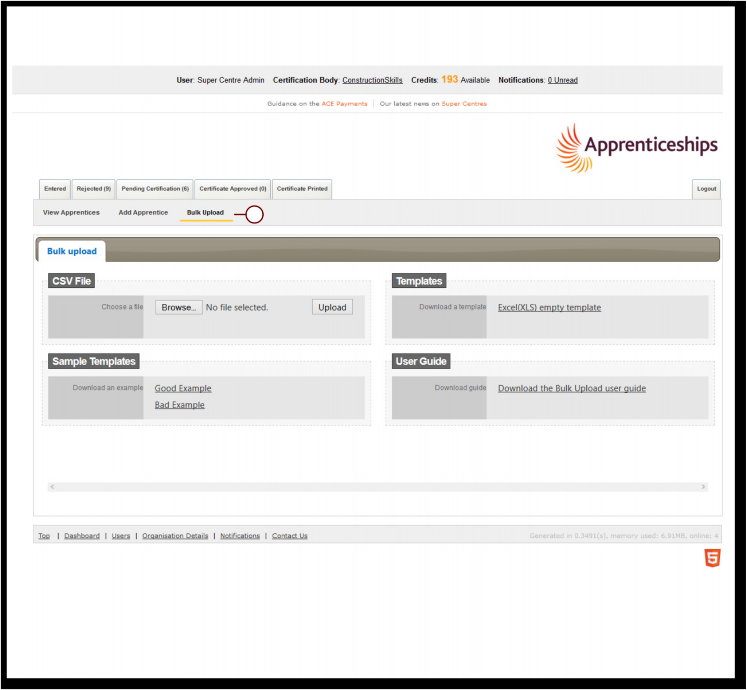 Once logged in under the Apprentices tab you will see the option Bulk Upload . 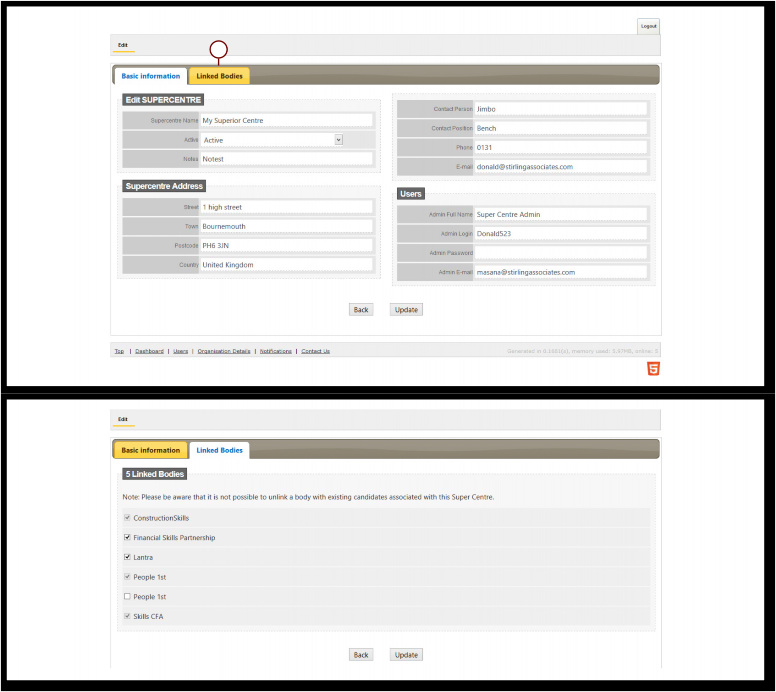 Both file formats require codes to be entered for some of the fields, this is because the corresponding field on ACE has a drop down menu that requires a selection to be made and each of the available selections has a corresponding, identifying code in the underlying ACE database. I need to create more users but the system won’t let me. — Select the Users Tab and click Add User. 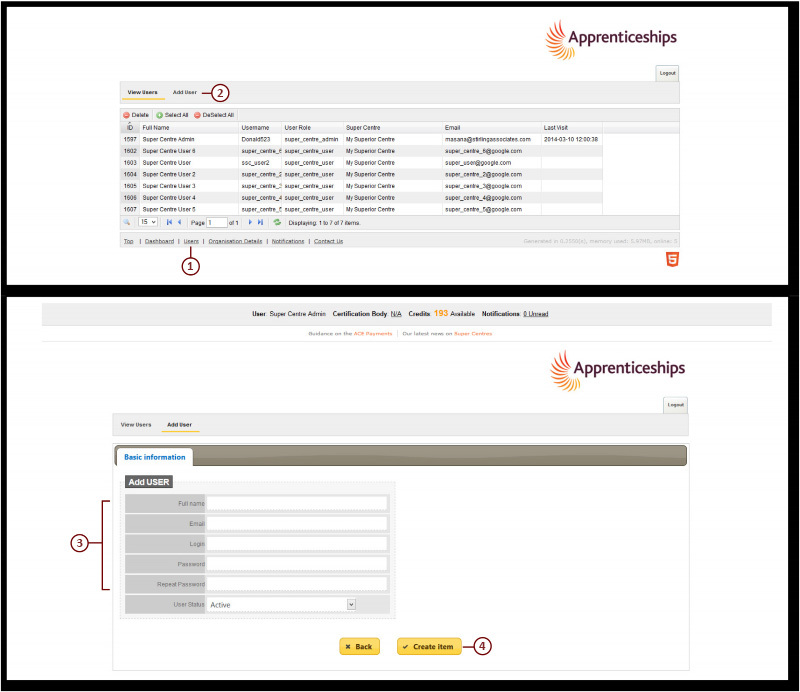 Note: in order for the new user to see apprentices within ACE you will need to assign CBs to the account (see Linking Bodies for further details). 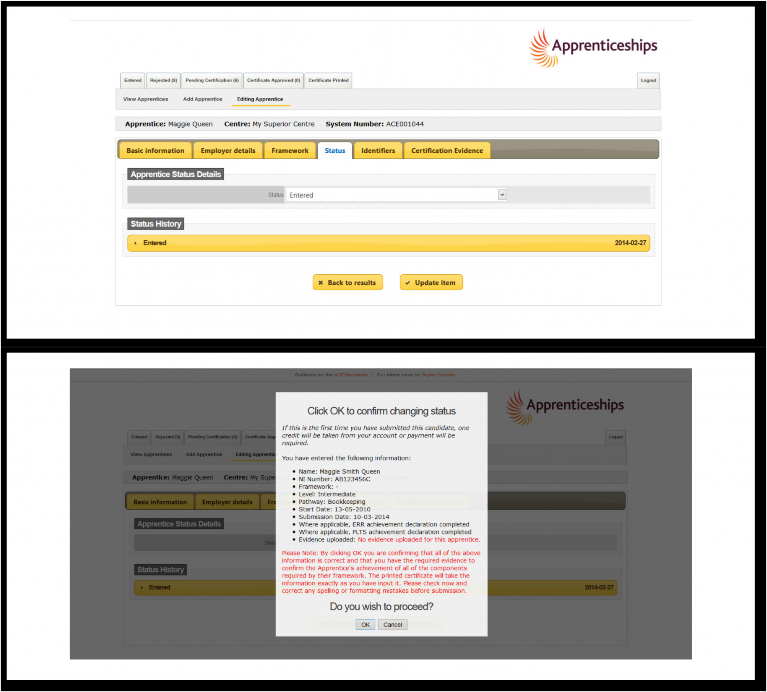 The option for read only allows you to provide colleagues access ACE but block access to apprentice records. They will only be able to access the reporting functionality of the system. 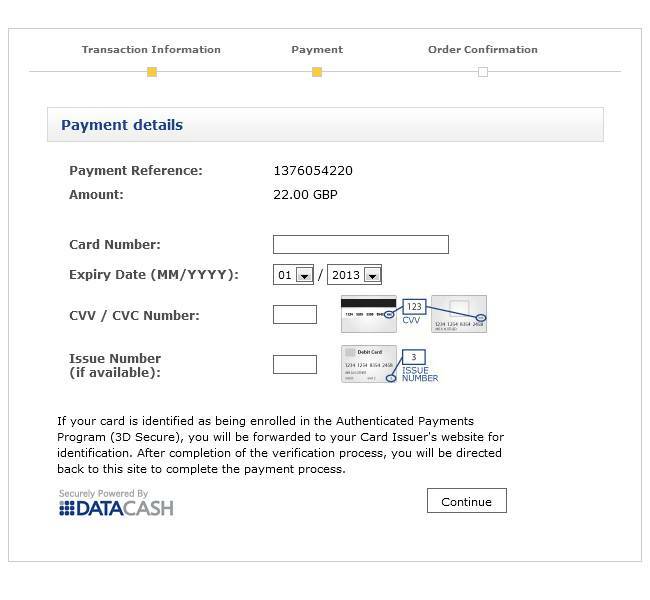 Please note only Centre Admin logins can add and amend User details. I haven’t received my username and password. We recommend that you download a new template each time you use the bulk upload facility as it will be reflective of the most up-todate mandatory fields required by the system. There are examples of good and bad completion on the Bulk Upload webpage. There are some fields that are marked with an * this is because they are mandatory requirements. When you open the spreadsheet you will see the following fields . • Under the selection Save As you will see that a drop down menu appears. 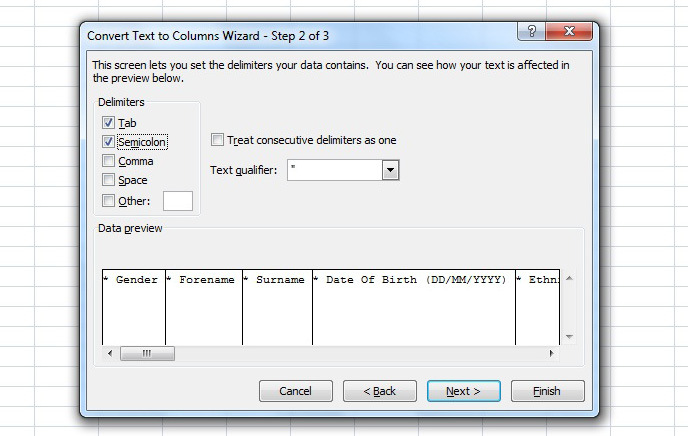 Select the CSV Comma delimited  (you can see that there are several different CSV formats only the comma delimited will work). • You will be asked if you want to keep the file in this format, select Yes . 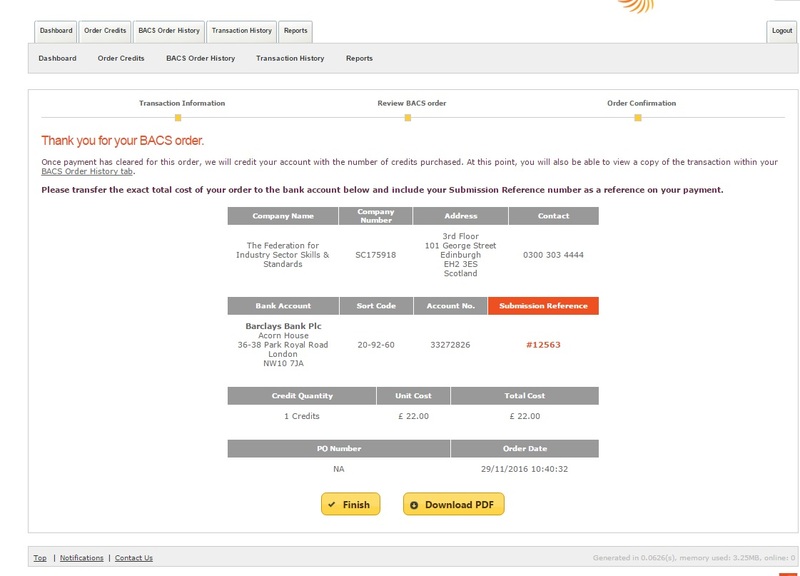 Now the file is in the CSV file format, return to the Bulk Upload page of the ACE website. 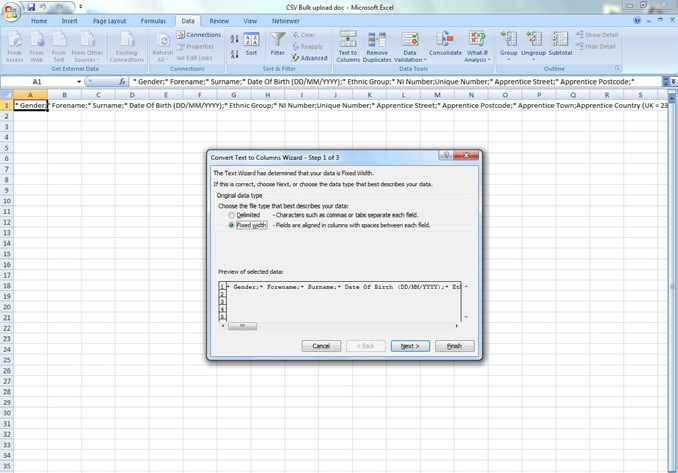 • Select Choose File , a pop up box will appear that will allow you to navigate to the location where you saved the CSV file. Once you have selected the correct file, click the Open button which will transfer the file path to the Choose a File field in ACE  and then click the Upload button . Only when all of the spreadsheet data has been accepted by the system, and it is showing as green, will the uploaded data be saved onto the ACE system. 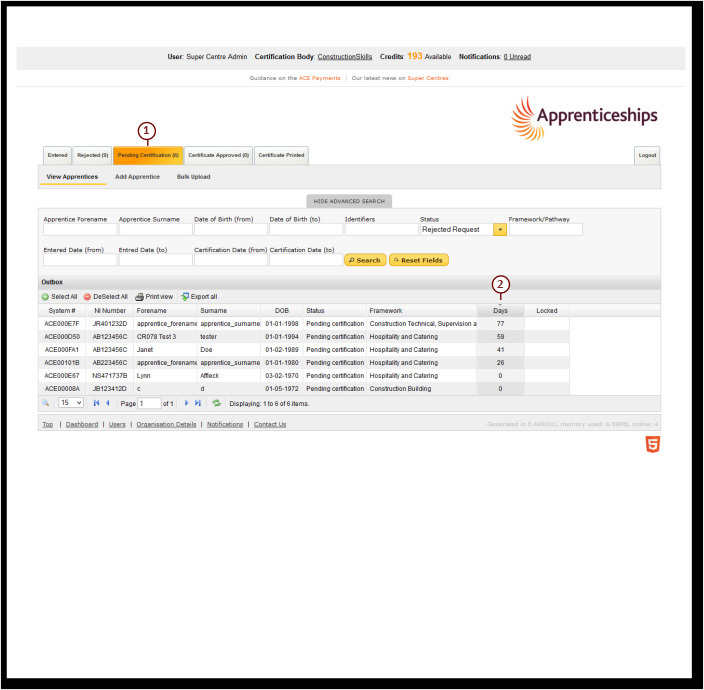 • Now that the apprentices records have been created, you will need to search and go to individual records to add the framework information and upload the required evidence of achievement to the Certification Evidence tab. This will need to be done before you submit a certificate claim. 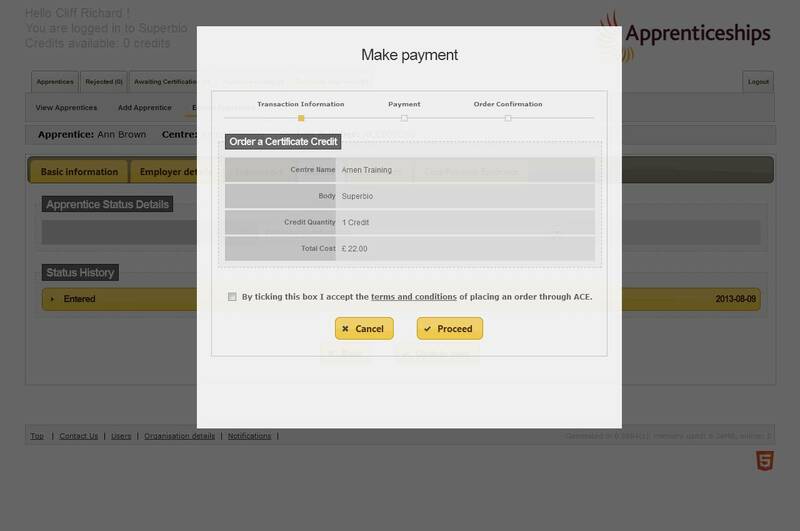 Within the ACE system you are able to disable ACE user accounts. This will keep the history of the user’s activity but will mean that they no longer have access to the system. 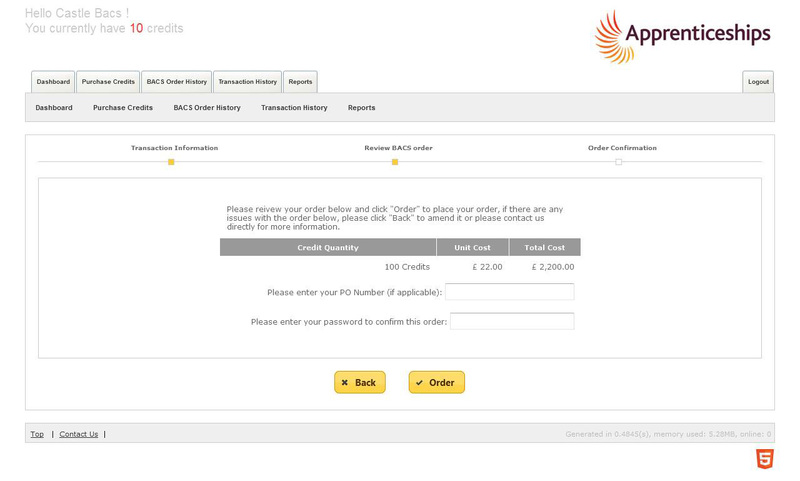 Only the Centre Admin User can make these changes – this is the person who registered with ACE. • Double click on the User to open the record. 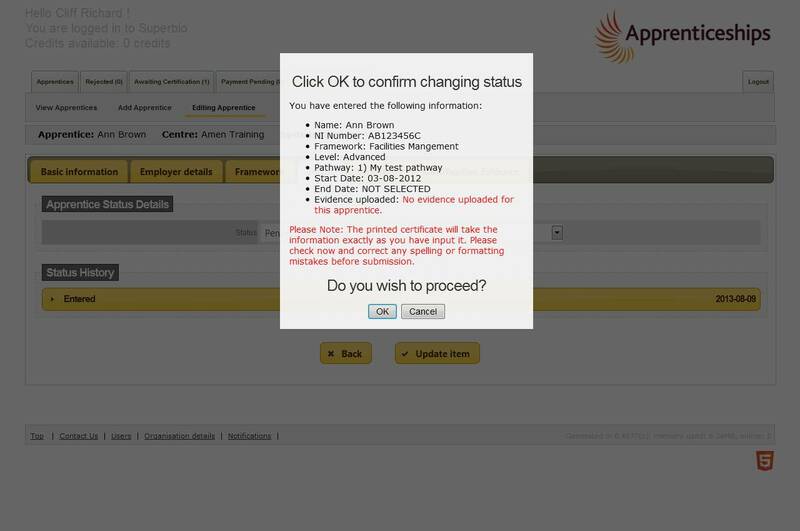 • Click on the drop down arrow next to User Status and select Inactive. • Click Update Item to save changes. 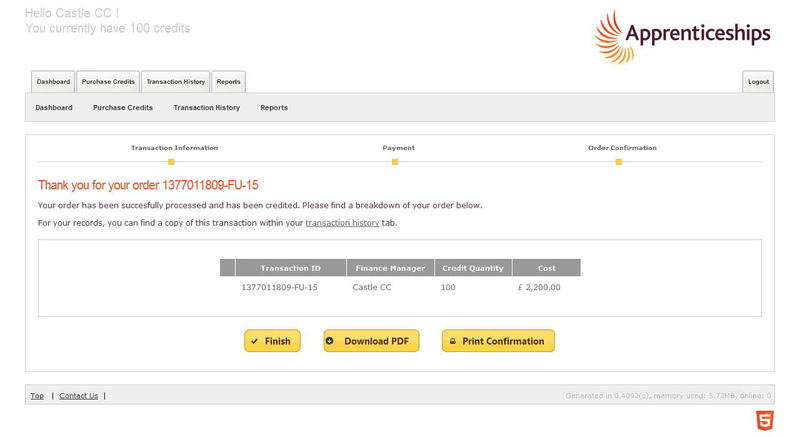 The Centre Admin User is able to update their own name and email address details but the log in details are set by the system. 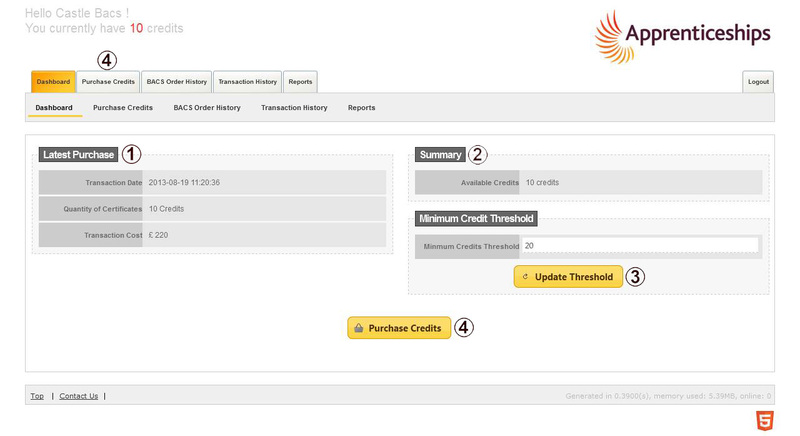 If you need to update the Centre details open the user account amend the required details and then select the update item button. Is there a minimum specification for computers that you recommend to get optimum performance from the ACE System? I’ve forgotten my username / password. If you have forgotten your password, click on the Forgotten Password link, next to the login button. Enter your username and email address that was used to register your ACE account and a link to reset your password will be sent to that address. If you have forgotten any of the required details, then please contact the ACE Support Team. To link with Certificaton Bodies you will need to go to the organisation details page and then select the linked bodies tab. Once in the linked bodies tab you will see a list of the Certification Boides. 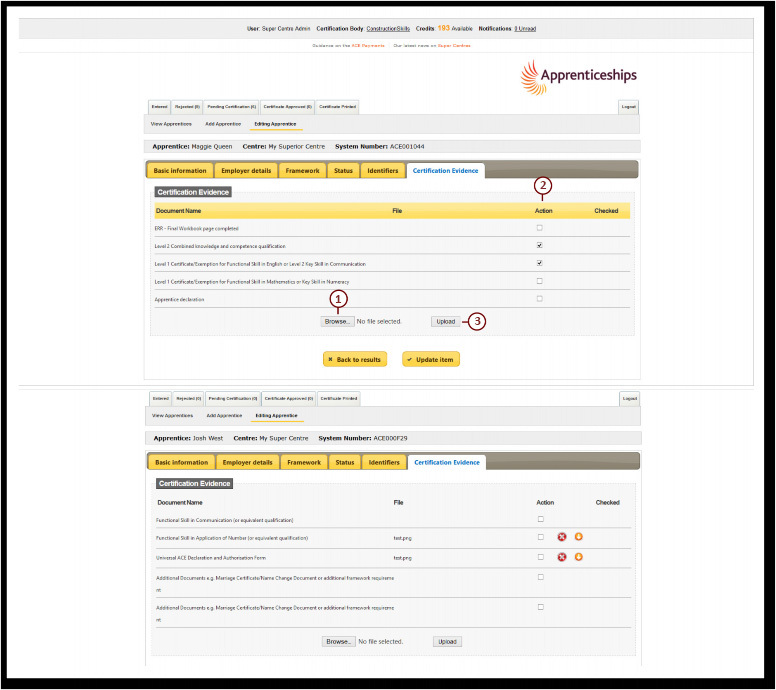 Select the Certification Bodies that you want to work with or deselect any that you do not work with (please note that you can only remove assocations with Certification Bodies if you have no apprentices registered with that account). Once you have the correct Certification Bodies selected you will need to select the update button which will save the Certification Bodies and display these on your dashboard. What browser do you recommend using for the ACE System? 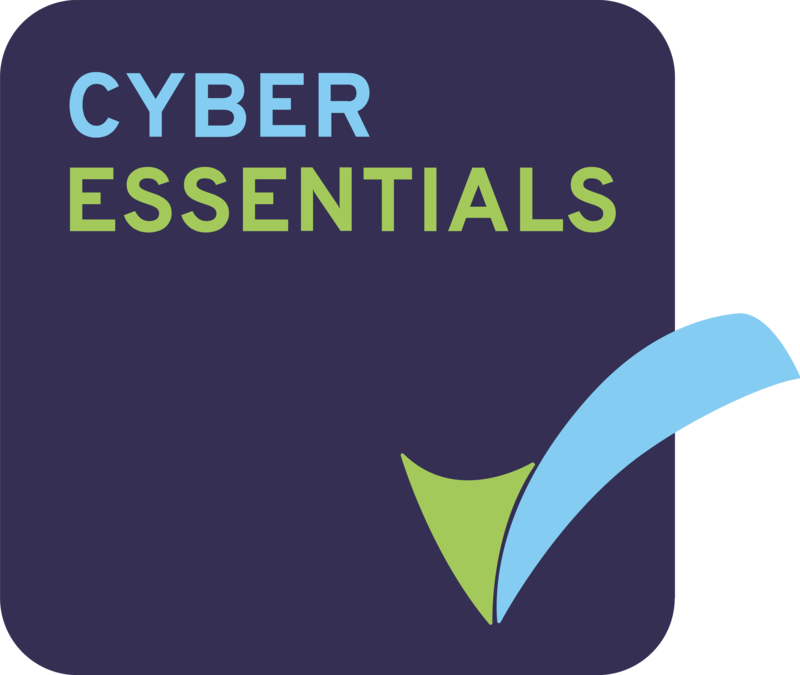 The Centre Admin user can control the Certification Bodies each user works with. 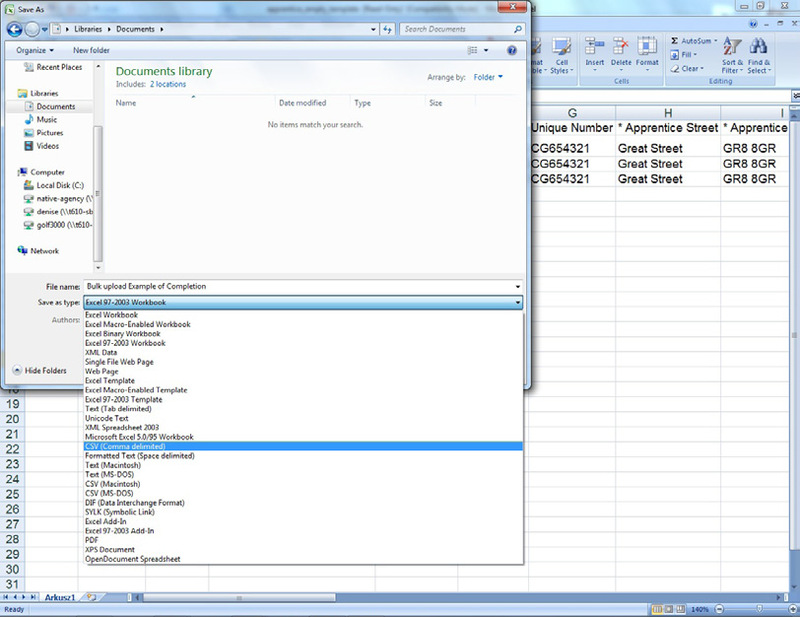 The Centre Admin user can do this by going into the individual user details and selecting the linked bodies tab. This will bring up a list of the bodies that your centre is linked with. You can then use the tick boxes to select the Certification Bodies. 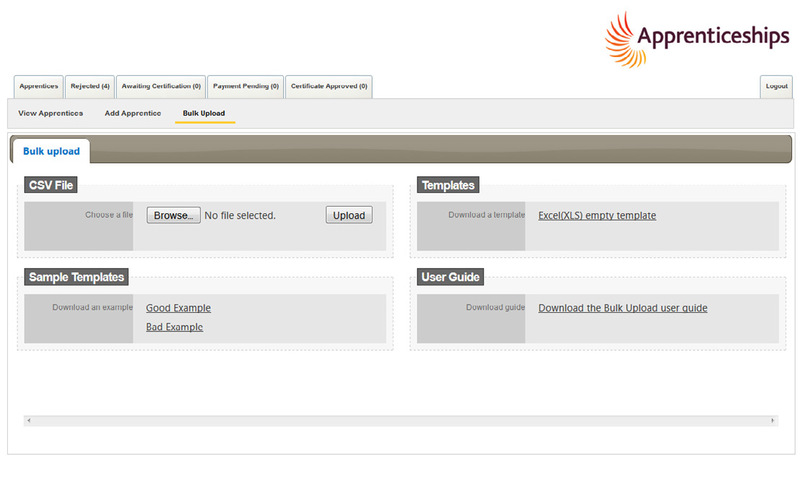 Once you have selected those the administrator works with, select the update item button. This can be done per user which will allow those with large teams to assign certain Certification Bodies to admin staff. Previously I have been able to log in but now I am getting an error message saying:- “Login Failed”. If you have been issued with a username and password and have previously been able to access ACE but can no longer log in, then you may have made a mistake typing in your details. Please re-check and try again. If you continue to have problems then this may be because your ACE account has been disabled. This could be because you have updated your contact details or a Certification Body needs to confirm something with you before proceeding with the certification process. Please contact the relevant Certification Body directly to discuss further. Previously I have been able to log in but now it clears my username and password without displaying an error message. As the ACE system is updated on a weekly basis we recommend typing the https://acecerts.co.uk URL into the address bar of your browser every time you want to access ACE. Often when you save the URL in your favourites tab, or try accessing ACE from a link in an e-mail, your computer will try to access an older version of the system. Please clear your cookies and cache from your browser and try opening ACE again. If you continue to have problems logging in then please check your computer ACE compatibility here. 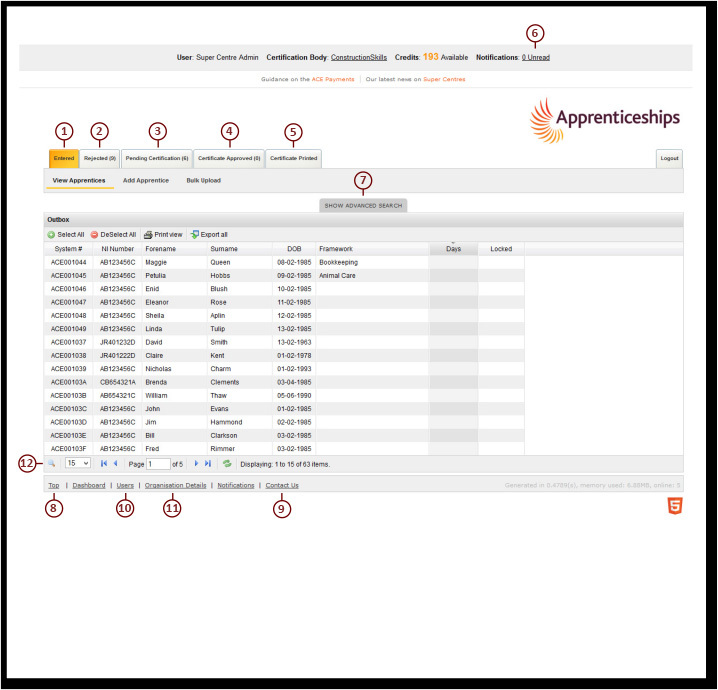 Across all of the top level tabs you will be able to search for apprentices. 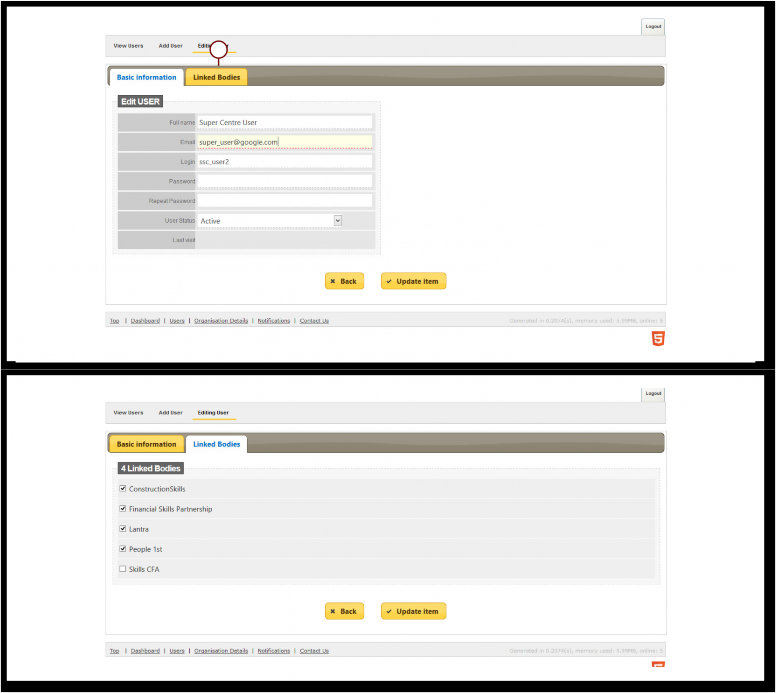 In order to do this you will need to open the search facility by selecting the tab ‘show advanced search’ which will reveal the search facility. When you have set your required search criteria click the Search Button. 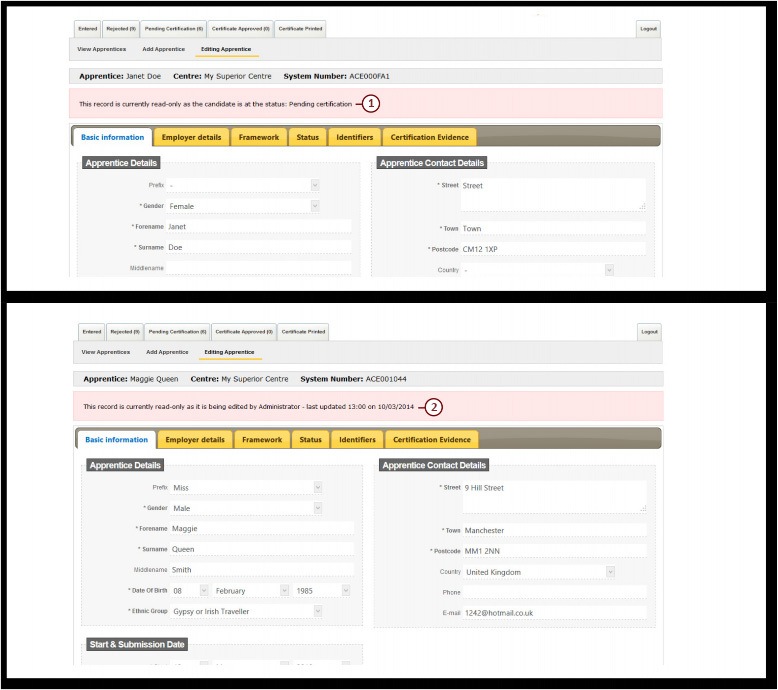 If you have made any errors with the search criteria you can select the reset fields option. You can hide the search facility again by selecting the hide advanced search facility button. Once you have entered your search criteria you must then press the enter key to initiate the search. To navigate between pages you can use the blue arrow keys or type in the white box area to specify a page. The displaying information text shows how many items there are in total and what page is showing. I log in and the screen is blank. Your firewall is blocking access to the website; you will need to update settings to allow access and add ACE to your whitelist. The Certificate Evidence tab provides a list of all evidence requirements based on the framework selection under the frameworks tab. would like this evidence to sit. 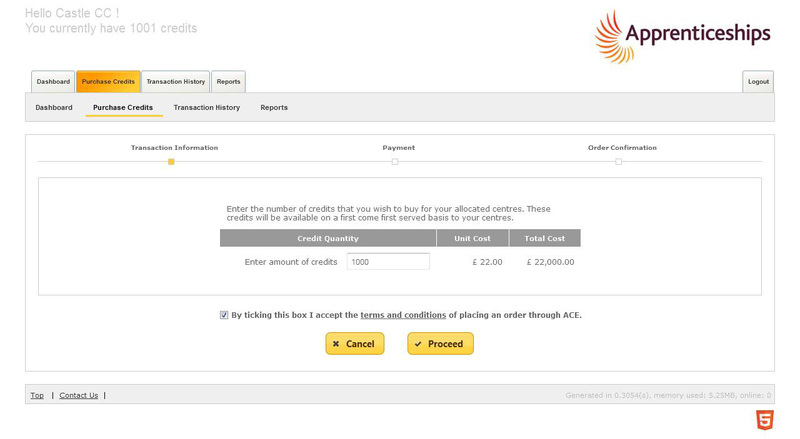 Some evidence may be used multiple times (such as PLR or GCSE certificates) and where this is the case please select the relevant boxes under the action column. Once the boxes have been selected, press the upload button. This will ensure that the evidence is loaded against these requirements. Please note the maximum file size is 3Mb. Any larger and the system will not accept the upload. 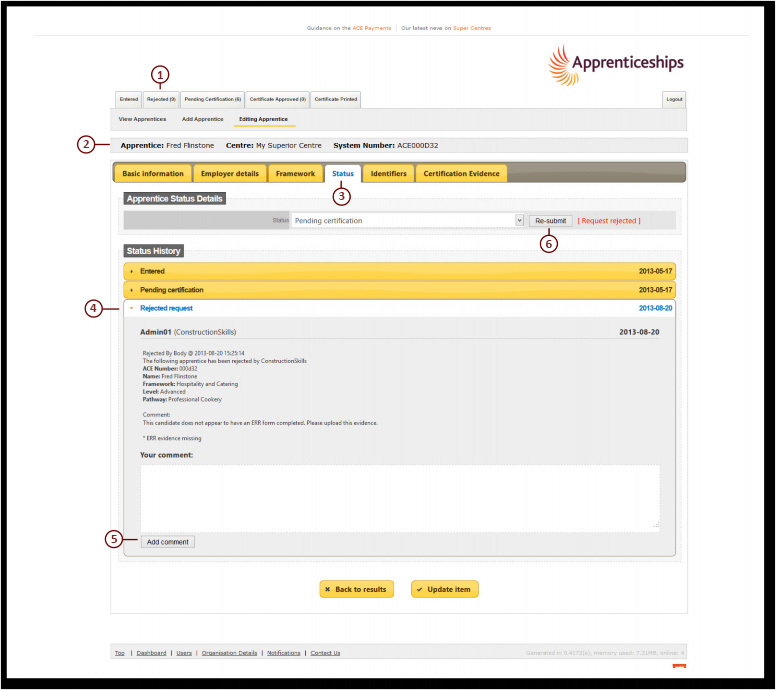 Once you have completed a search in any status tab, you may have a list of apprentices. 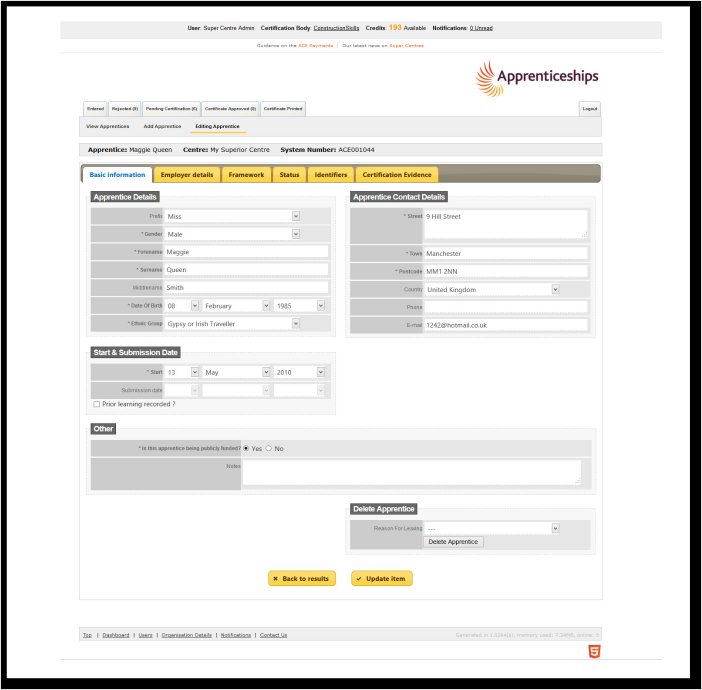 You can use the drop down to select a number of apprentices to print (up to a maximum of 100). 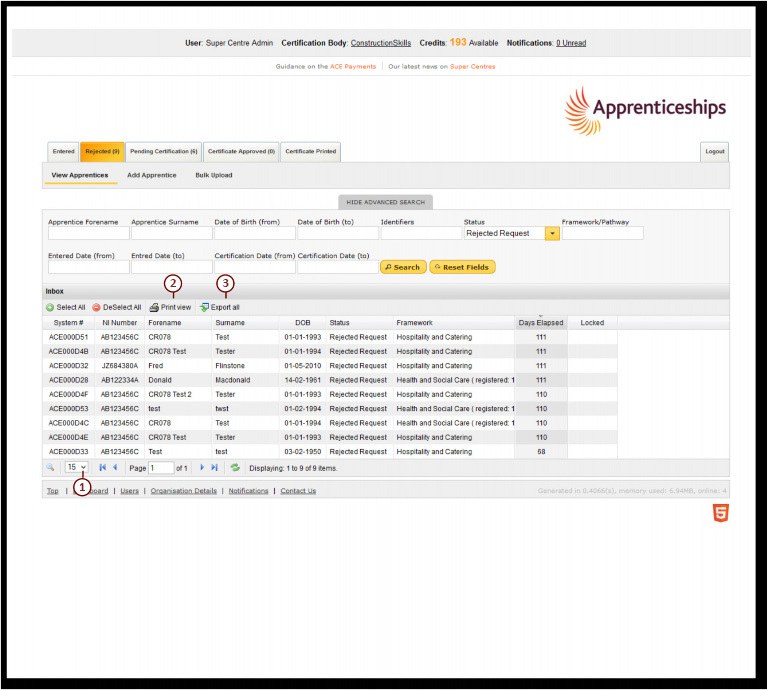 • Select the Export All button to export the apprentices listed on screen. This will open as an Excel spread sheet. 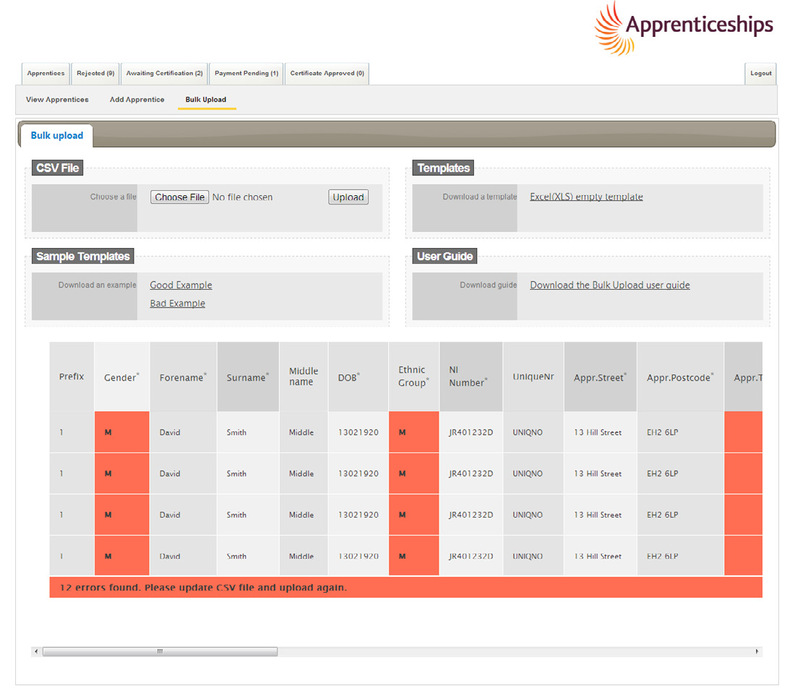 We recommend that you limit the list for printing or exporting to 100 apprentices as anymore may slow the system down. 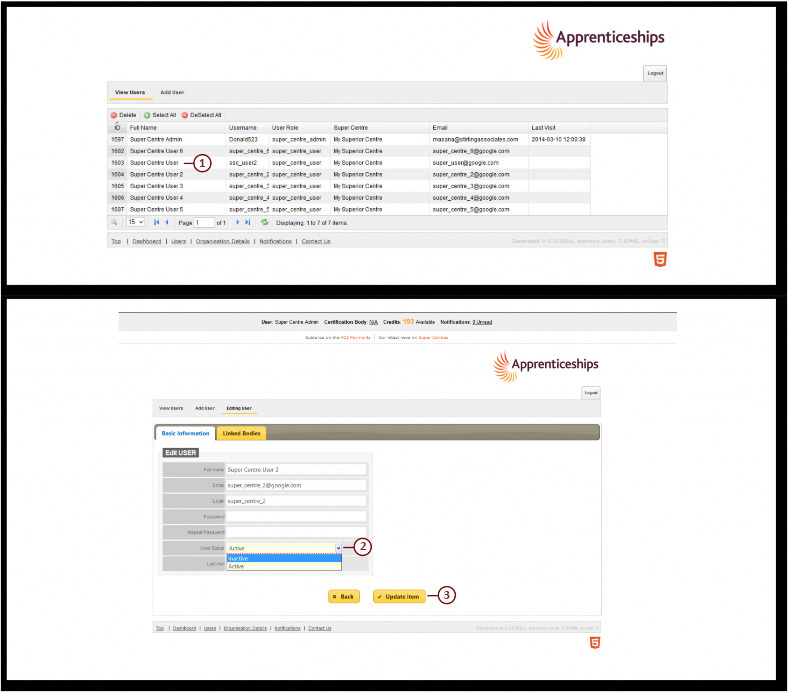 The Rejected tab allows you to view all of the Apprentices that have been rejected for certification, by the Certification Body. 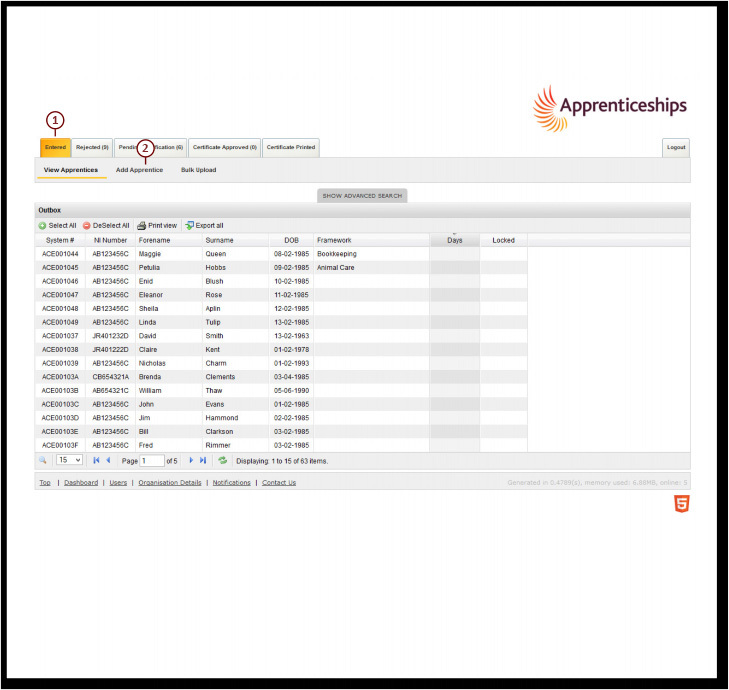 The number in brackets on the tab indicates the number of Apprentices that are currently in this category. 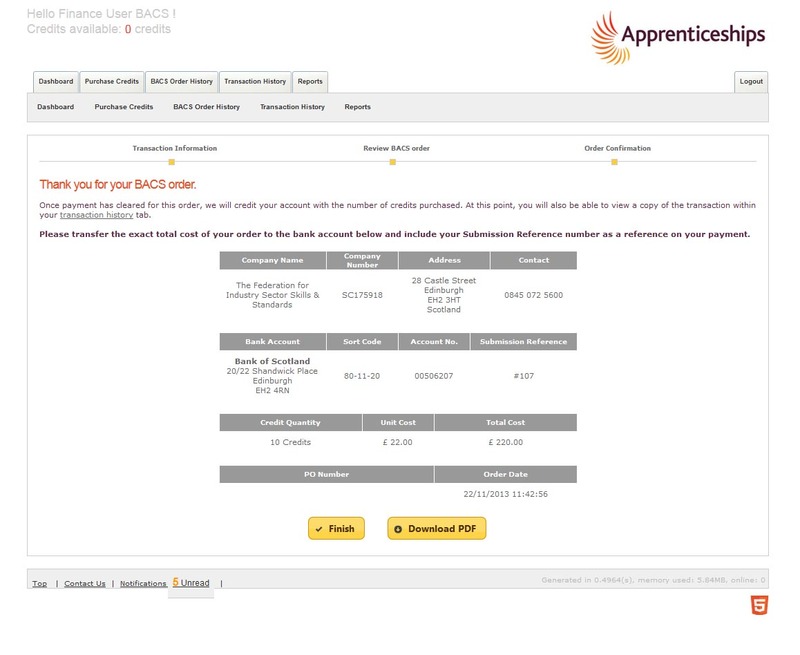 • To view a rejected Apprentice, double click on their name and their record will open. • Click on Rejected Request and the date of, and reason for rejection will be recorded. • Once changes have been made, return to the Status tab. 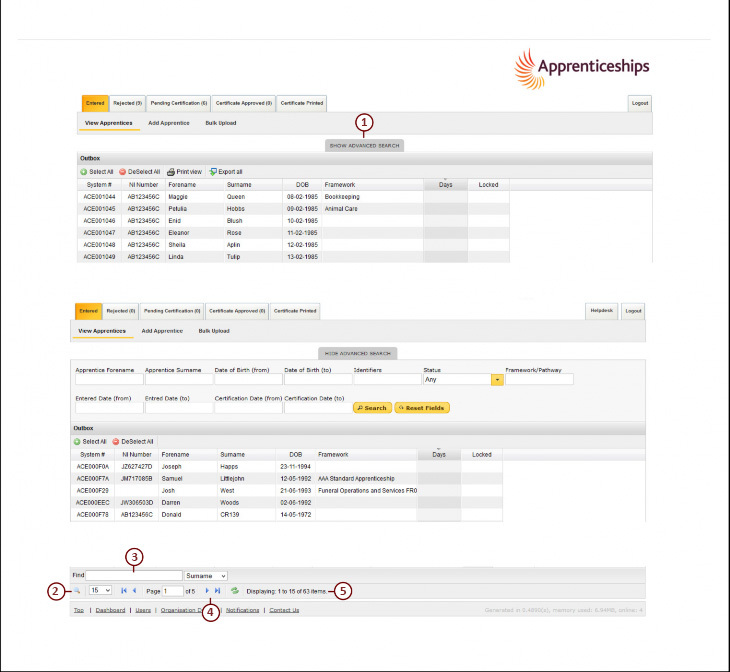 The system prevents two users editing an apprentice’s record at the same time. This will appear as being Locked. The second user to open the record will be presented with a read-only view. You can see who has the record open under the apprentice tab. If that person is unavailable then please contact the ACE Support Team to unlock the record. 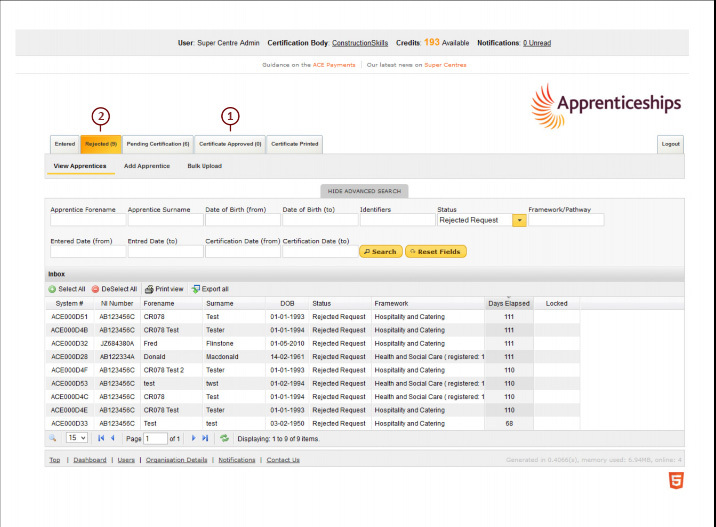 • The Pending Certification tab  allows you to view all of the Apprentices that are awaiting certification. 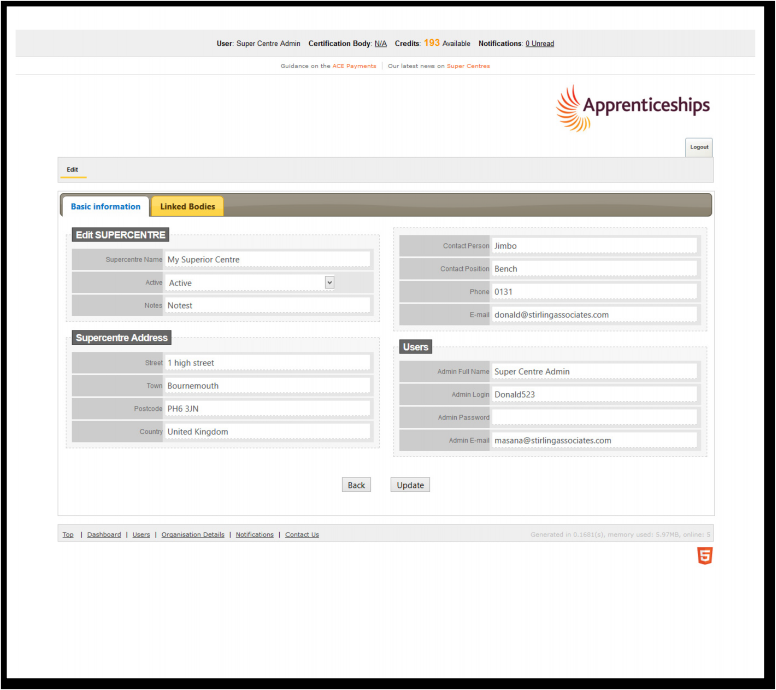 The number in brackets on the tab indicates the number of Apprentices that are currently in this category. You will be able to see how many days have elapsed since submission in line with the 10-day turnaround. If there are queries raised by either the Centre or Certification Body regarding certain pieces of evidence the Federation have the final say. The Federation will look at the evidence on the system and if accepted will add a note under the individual evidence to provide clarity on why the evidence has been accepted and this will be locked so that the Centre is unable to amend the evidence once accepted. This could happen prior to the Certification Body reviewing the evidence but you will be able to see the comment added by the Federation. 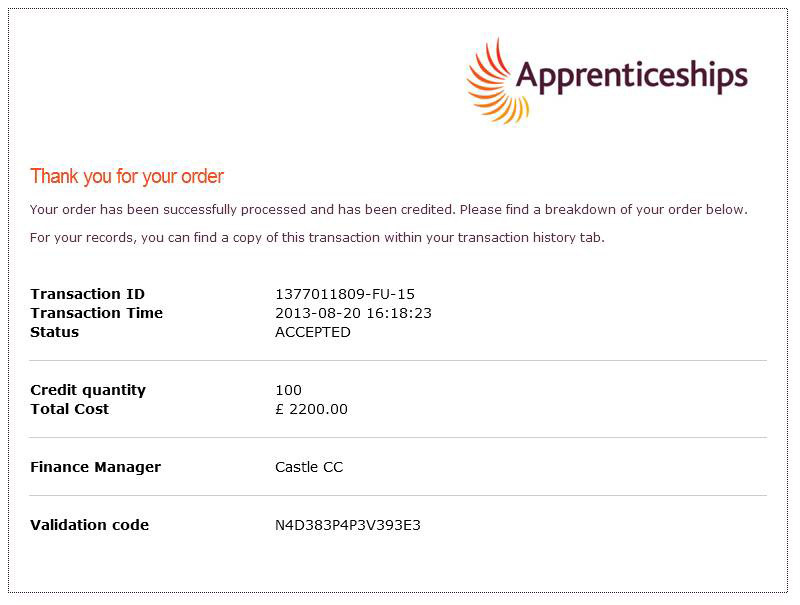 • The Certificate Printed tab will give you the option to see when the apprentice has been certificated. This status may also be referred to as the archive status as once here the apprentices records will remain in this status.